Mezzo-soprano. Born in Germany to Argentinian parents in 1973. Grew up in Venezuela. She played and sang with her musical family Latin American folk music. She formally studied singing and choral conducting in Buenos Aires, and completed her training at the Guildhall School of Music & Drama in London. Her repertoire ranges from the Renaissance to the avant-garde and from folk to tango, including oratorio, opera, and works written especially for her. Since 1999, she conceived and produced programs on Latin American and European 20th Century music, Yiddish song, cabaret and tango. She also performed in renowned venues in Buenos Aires and Europe. Her 2002 Millennium Award-winning show Tangele: The Pulse of Yiddish Tango (www.lloicaczackis.com/tangele.htm), features songs from the Yiddish theatre in Buenos Aires and New York and from ghettos and concentration camps in wartime Europe. Czackis was invited to appear in numerous venues and international festivals across Europe. 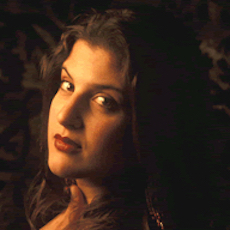 In 2003, Lloica performed with Zalmen Mlotek in the launch of the International Forum for Yiddish Culture in London, and as an actress and singer in the play Davka by Jane Liddell-King, at the ADC Theatre in Cambridge (UK). She also premièred Terezín Karussell, a recital of tangos, art and cabaret songs written by Terezín composers, first with David Bloch on piano at the Brundibár Festival in Manchester and later in London and at the UK Leamington Festival in 2004. In addition to her musical career, Lloica researches the Yiddish tango. Her research was published in the Jewish Quarterly (UK), in the book “Recreando la Cultura Judeoargentina/2- Literatura y Artes Plásticas”, Editorial Milá, Buenos Aires, 2004. She’s also given illustrated lectures across the UK. Lloica is the 2004/5 Vladimir and Pearl Heifetz Memorial Fellow at the YIVO Institute for Jewish Research and is currently an MPhil student at the École des Hautes Études en Sciences Sociales, in Paris. Photo Credit: Malcolm Crowthers, from Lloica Czackis website.